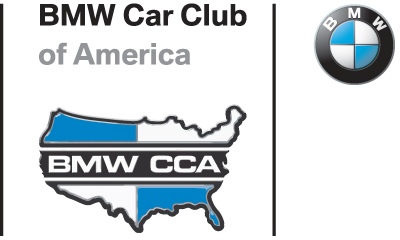 The Lone Star Chapter of BMW CCA was founded in 1977 by about 25 enthusiastic souls, wishing to share the enjoyment of the marque with others and the camaraderie that is part of being a club member. While there is ample technical “stuff”, the emphasis of this chapter is on social activities. All of our events, whether they are tours, autocrosses, drivers schools, or social events, are really social events with a twist. This chapter is really a family activity and significant others are well represented at all activities. This chapter is benefiting from the growth of CCA, seeing our ranks increase to over 1300 members today. Our chapter covers a large part of Texas, stretching from Texarkana to Amarillo but the greatest concentration of members live in the Dallas/Ft. Worth Metroplex area. Our calendar is quite full. We try to alternate social events, tours and autocrosses in an effort to avoid conflicts in any month so members can attend numerous events. In addition, we autocross from March through November each year. We take a sabbatical in the winter months for the holiday season and the cold. With the recent construction in the area of public and private racetracks we have added drivers schools. We’re always looking for new ideas on things to do and places to go, so we welcome suggestions from all interested. Since ours is a totally volunteer organization, we also rely heavily on members for helping the more official members put these events together. We’d love to see you at a meeting, on a tour or at a driving event. If you would like more information about us, contact one of the officers listed later or contact one of the e-mail addresses supplied. Our 10th Geburtstagre complete history of our chapter. The article was written in 1987 commemorating our 10th anniversary.